Exclusive: Our contacts in the Finnish corridors of power got us an interview with Mrs Claus. Side by side with every great man is a great woman: Santa and Mrs Claus like to attend skijumping World Cup competitions and other sports events held near their home in northern Finland whenever their busy schedule allows. Santa and his wife, Mrs Claus, have a hectic schedule, but we pulled a few strings and managed to get an interview with Mrs Claus about life at Korvatunturi, their home in Finnish Lapland. Whenever children – or adults for that matter – have a chance to meet Santa Claus, their heads are packed with questions they’ve always wanted to ask. But the excitement of the moment usually makes them nervous, leaving them with only one thought: “What was it I wanted to ask?” And so the questions go unanswered. Side by side with every great man is a great woman. 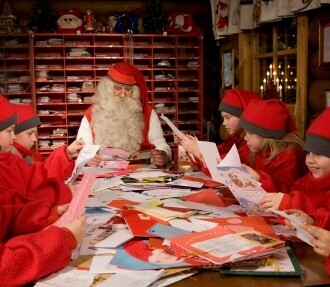 Through our extensive Finnish contact network we managed to obtain a rare interview with Mrs Claus about Santa, the elves and the gift delivery process. Read on to find out if Santa is ever in a bad mood, if you can get work as an elf, if Santa has ever got stuck in a chimney, and much more! 1. How old is Santa Claus? That’s something not even he can remember exactly. Once when he was sitting in his favourite rocking chair in front of the fireplace at Korvatunturi, the mountain in Finnish Lapland where our home is, he began to count how many Christmases he could remember. But when he got to something like 364, he fell asleep. 2. Does Santa Claus have a family? Of course! Everyone in the world is his family. Adults and children are equally precious to him. 3. 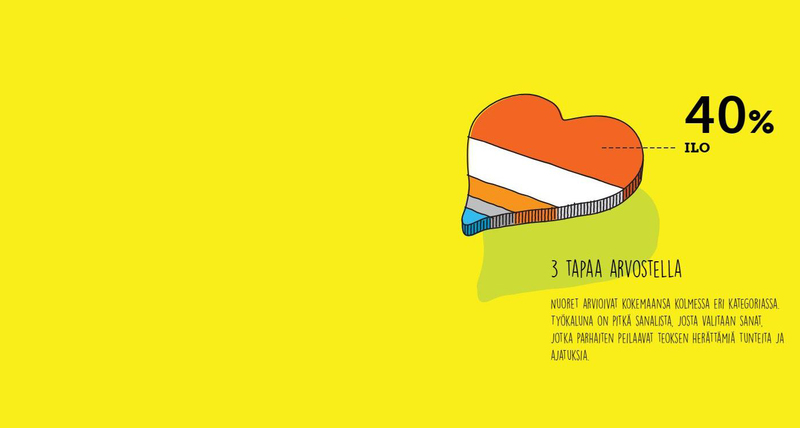 Can people visit Korvatunturi? Of course they can, if they know how to get there. But it’s a long and difficult journey. And everyone gives different directions. But you have to turn left after the little spruce tree, or if you’re coming from the west along the narrow path, then you should turn right, that is, if you have passed Spruce Pond already. 4. Does Santa Claus have to be good? Santa Claus is always good. Sometimes he has to be strict, but he is always fair. Sometimes he’s a little angry, sad or upset. He gets really upset if he hears about places in the world where they don’t care for children’s well-being. 5. What does Santa Claus think about the way people celebrate Christmas in different cultures? Every culture has its own customs that deserve to be respected, and that’s just what Santa Claus does. 6. Was Santa Claus ever a child, and did he go to school? Santa Claus still feels like a child to this day. Life has been one long education for him. You have to keep studying because the world’s always changing. He’s gone to a lot of schools. Once he even visited an elementary school. 7. How tall is Santa? It depends on whether he is walking deep in thought, or if he is examining little berry branches on the floor of the forest, or if he is looking at the horizon. He’s taller than the tallest elf, but shorter than the old spruce trees in Lapland. 8. What hobbies does Santa have? Taking saunas, especially old-fashioned Finnish smoke saunas, is something he really likes. Taking naps is also an extremely important pastime for him. 9. 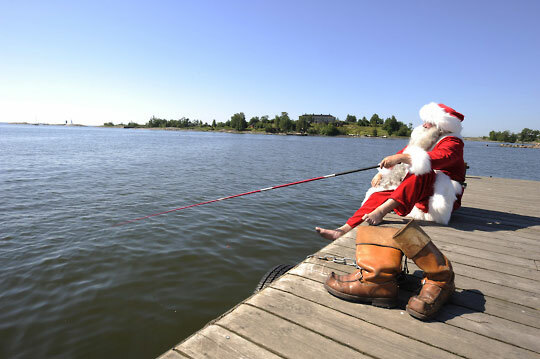 Does Santa Claus live at Korvatunturi? Korvatunturi is his permanent residence and the place he loves the most, but all year long he drops by different places around the world. He only stays in places where he feels content. 10. How many names does Santa Claus have? I think every country has a different name for him. 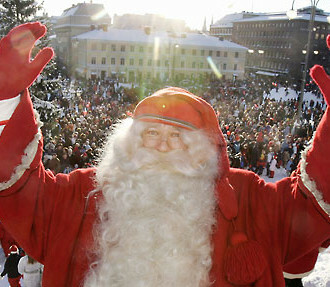 Here in Finland he’s called Joulupukki, and in America he’s Santa Claus. If remember correctly, in Germany they call him Weihnachtsmann, and in nearby Holland, Kerstman. He has all these names, and many more, because he is so well loved. 1. How many elves are there at Korvatunturi? No one knows for sure. Elves are fast and they are rarely all in the same place at the same time. But when the sun sets over Korvatunturi, there are probably as many little elf toes under the blankets as there are stars in the sky, if not more. 2. Are elves Santa’s children? Santa Claus believes that everyone should be everyone else’s child and that being a child is the most important thing in the world. 3. Are new elves still being born? New Christmas elves and other kinds of elves are born frequently. When the last rays of the evening sun meet with the Northern Lights, the wind is blowing from the north and the stars are shining, that is when elves are born. 4. Is it possible to become an elf? Of course. And it is possible to stay an elf. Taking care of smaller and weaker people is elf work. Making someone happy who doesn’t have anything to be happy about, or giving toys or clothes to children who need them – these are the best ways to be an elf. 5. Does Santa read all the letters he gets? The elves help him read the letters and make inventories. Santa Claus gets a lot of Christmas cards, too. 6. What kind of elves does Santa Claus have? He has reindeer herder elves. 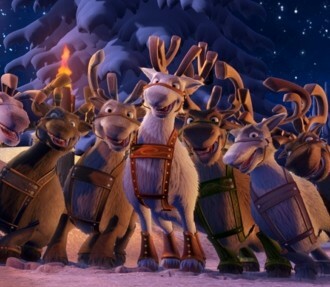 They respect reindeer as wild animals that have learned to live in harmony with humans and elves. He has mapmaking elves and pathfinder elves. He has a wood elf who is so old and wise that he knows how to make the best of each piece of wood, because he understands the spirit of the wood, and he looks like a knotty old pine himself. There are also professor elves who study various important things. 7. Do all the elves have names? Almost always. They have names like: Threshing Barn Elf of Hill Farm, Sauna Elf of Bay House, and so on. Some of them have nicknames that refer to their profession, like Ink Splotch, Mapmaker, Compass or Surveyor. The nicknames may relate to a personal trait, such as Old Wiseman, Speedy, Wise Guy, Long Beard, White Beard or Black Whiskers. 8. What do Santa and his elves do during their free time? They play lots of games. One of their favourites things to do is sit by the fireplace and talk about everything in the world. They reminisce about past journeys and recall interesting people and places that they have visited through the years. 9. Can humans see elves? Elves are good at sneaking around, so it’s usually hard to detect them. Children are often able to see a branch move, or notice something looking through the window or peeping from behind the curtains. Then they know that it’s their own personal elf tiptoeing around. Sometimes elves move something or leave some other sign to show that they have been around. They have also been known to pick up mail addressed to Santa Claus. 10. Do Christmas elves also go by different names? Yes, indeed. In Finnish we call them Tonttu; in Swedish and Norwegian, Tomte or Nisse; in German, Heinzelmännchen; in Dutch, Kabouter; and in English some call them gnomes as well. 1. How does Santa Claus travel? Lots of ways. He has a sleigh drawn by team of reindeer, but he also has a team of dogs, a car, an aeroplane, a snowmobile and a helicopter. Santa uses whatever means of transport is best suited to the weather conditions and the purpose of his journey. 2. Are all the presents made at Korvatunturi? Not all of them. Some are made at home, and they are especially precious. Surely you’ve heard of homemade jelly or mustard or hand-knitted wool socks. In some places there are little workshops that also help Santa Claus by making gifts. 3. How does Santa have time to deliver all the presents? He takes advantage of the differences between time zones. When children in Finland are awake, children in Japan are asleep and vice-versa. There is also some magic involved. Sometimes Santa Claus may delegate the elves to deliver presents. The most important thing is that the gifts get there on time. 4. Has Santa ever got stuck in a chimney? If that happened, delivery would get cut short. 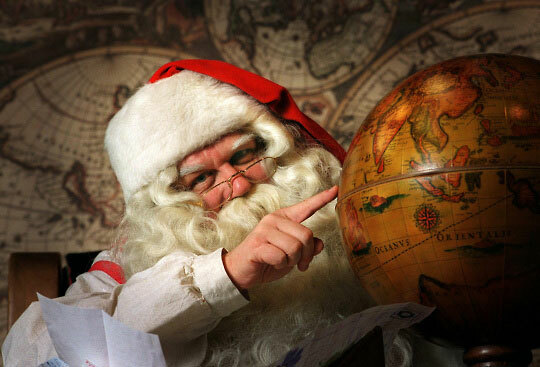 Santa Claus has a big book entitled Chimneys of the World. It is important to know how to get down them, and that is Santa’s specialty. 5. Is it possible to get presents even if you haven’t been good? Santa Claus is certain that, deep down, all children are good. If a child is hungry or tired, it’s only natural that crabbiness can creep in. Voicing disappointment or not feeling well has nothing to do with being good. 6. What does Santa Claus do when he’s not delivering presents? He relaxes by walking in the forest and listening to the voices of the wilderness. 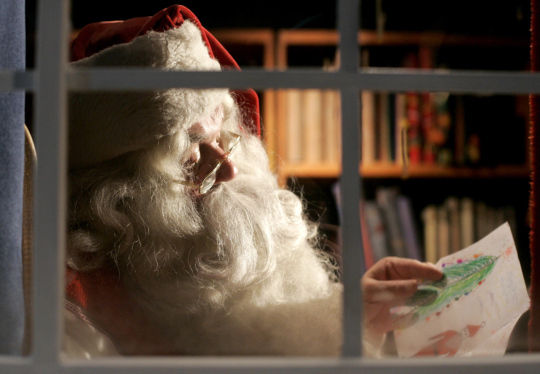 He also spends time preparing the next Christmas delivery by reading children’s letters. His favourite pastime is reading books. 7. Does Santa get any presents? Oh yes, often. The best gifts, in Santa Claus’ opinion, are the happy smiles of children and the joyful look in their eyes. 8. Can Santa read children’s thoughts? Maybe not every thought, but at least the thoughts that children want him to read definitely come through. There is a special understanding between children and Santa Claus. 9. How does Santa know how to get to everyone’s house? This is how it works: The elf secretaries keep exact records of all children by country, state, county, province, city, town, village or district, by house or apartment building, by bedroom or even by bed. These records are used to plan the delivery route. 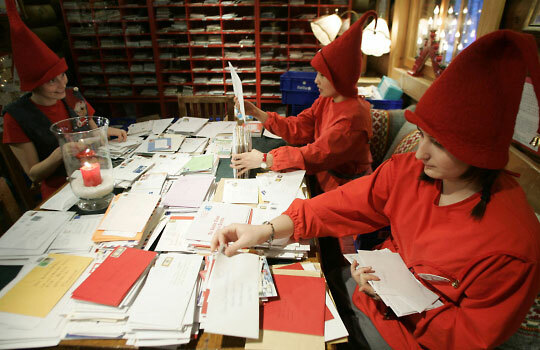 It’s very demanding work; 284 elves work in the address department year round. 10. Where does Santa Claus get all the money it takes to fly to Japan? Shhh! We don’t use the word “money” here. Santa is extremely lucky, because in his world money doesn’t exist. The important thing is that he catches the plane, and that it’s the plane going to Japan when that’s where he intends to go. He usually takes a long nap on the flight. Adapted from The Secret of the Magical Mountain Korvatunturi, a book published by Polarlehdet Ltd.
Don’t believe the North Pole hype. 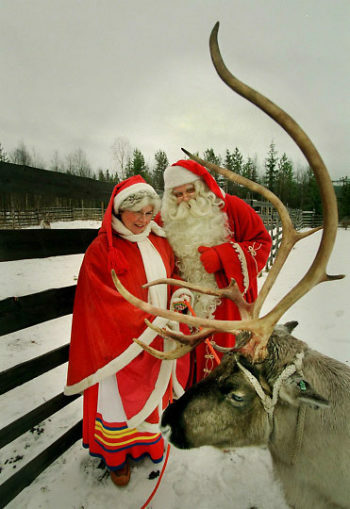 Everyone knows that Santa and his reindeer live in northern Finland. Ever wonder where letters to Santa Claus wind up? 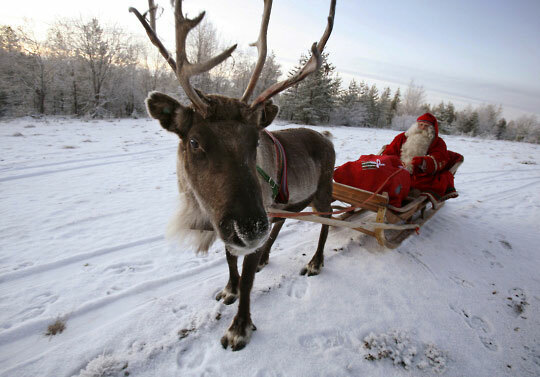 We pay him a visit in Finnish Lapland at Santa’s Main Post Office. See our list of Finland’s top Christmas movies, all of which include Finnish Lapland’s most famous resident, Santa.